Product prices and availability are accurate as of 2019-04-18 02:52:24 UTC and are subject to change. Any price and availability information displayed on http://www.amazon.com/ at the time of purchase will apply to the purchase of this product. 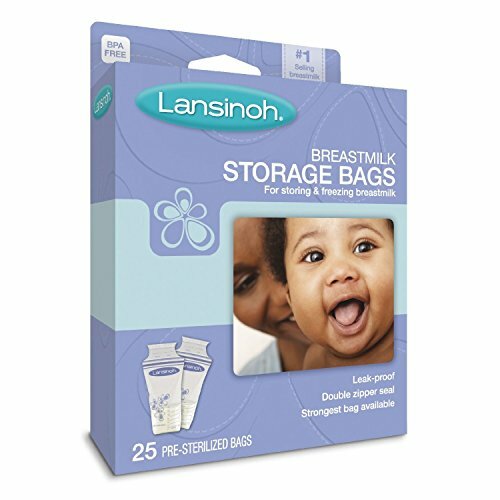 Lansinoh's #1 selling breastmilk storage bags are ideal for storing and freezing precious breastmilk. 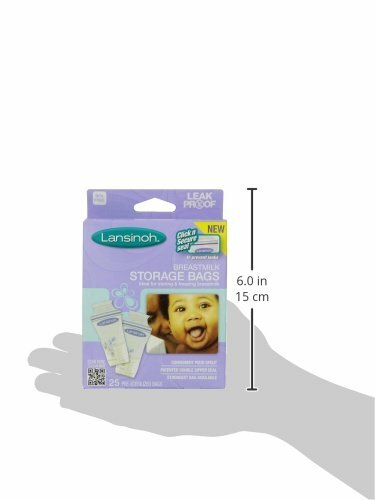 Lansinoh bags come pre-sterilized and have a patented double Click ‘n’ Secure seal to prevent leakage. With reinforced side seals and a double-sealed gusset, Lansinoh bags are the strongest breastmilk storage bags available. BPA and BPS free. Using most standard size pumps* - Attach adaptor to expression set and pump directly into bags. Adaptors sold separately. IMPORTANT! 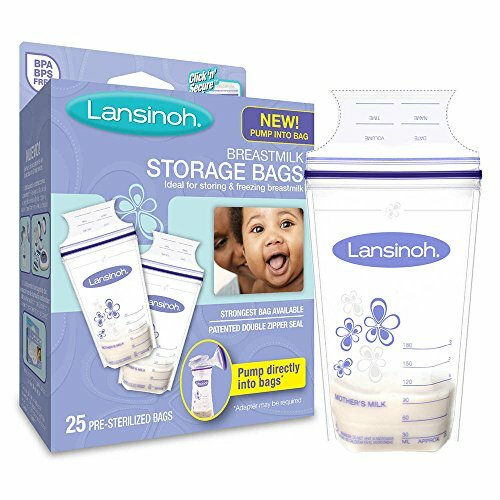 Ensure your Lansinoh Breastmilk Storage Bag has white and purple flowers and a white line above the logo. If your bag does not have this design, it is not compatible with pumping directly into the bag. 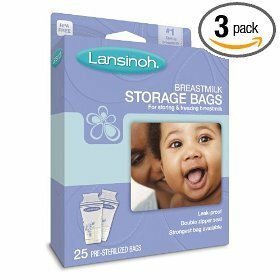 Lansinoh Breastmilk Storage bags come in 3 convenient pack sizes: 25 Count Lansinoh Breast Milk Storage Bags, 50 Count Lansinoh Breast milk Storage Bags, and 100 Count Lansinoh Breast milk Storage Bags. Founded by a breastfeeding mom, Lansinoh has been committed to helping moms succeed in breast feeding for over 30 years. Lansinoh is a leader in breast feeding products and accessories, famous for its award-winning cornerstone product, HPA Lanolin, Lansinoh and Lansinoh nursing pads. For more information, please visit Lansinoh.com or connect with Lansinoh on Facebook, Twitter, Instagram, Pinterest and YouTube.